Summary: John Grisham's A Time to Kill is one of the most popular novels of our time. 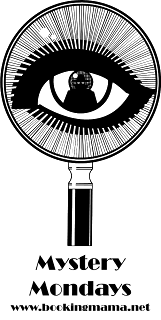 Now we return to that famous courthouse in Clanton as Jake Brigance once again finds himself embroiled in a fiercely controversial trial-a trial that will expose old racial tensions and force Ford County to confront its tortured history. I wouldn't claim to be the biggest fan of John Grisham; however, I have found some of his books to be highly entertaining. When I learned that his latest novel SYCAMORE ROW had many of the same characters as my all-time favorite Grisham novel A TIME TO KILL, I knew that I wanted to read it. I definitely had mixed emotions about this one. SYCAMORE ROW picks up with Jake Brigance three years after his success in the Hailey trial. Despite his huge win, Jake's life hasn't changed all that much. He is still a small town attorney struggling to make ends meet, and he has problems finding good help. In many ways, his life might be worse... or definitely more dangerous. His family is renting a small house after the KKK torched their home, and Jake has resorted to carrying a gun for protection. And then one day, Jake receives a letter from Seth Hubbard, a very wealthy man who has just committed suicide because he has terminal lung cancer. In this letter, Hubbard has written a will that leaves almost his entire estate to his black housekeeper Lettie... and leaves out his children and grandchildren. He asks Jake to represent his estate because he knows there will be some questions and controversy surrounding his hand-written will. Jake finds himself caught up in a family dispute as well as a racially tense situation as he not only tries to carry out Hubbard's last wishes but also as he learns the truth behind this act. I mentioned earlier that I had mixed feelings about SYCAMORE ROW. There weren't that mixed. I just had some issues with the legal minutiae of the story. Mr. Grisham is obviously a lawyer who knows the laws and understand the way a courtroom (not to mention small town law) works. While that definitely lends a piece of authenticity to the novel, I found that his descriptions of the legal situation bordered on boring at times. While I have no doubt that lawyers probably feel the same way, I found myself drifting a few times during the explanations. Having said that, I can now address what I really enjoyed about the novel because there were definitely many positives. The story itself in SYCAMORE ROW was extremely interesting. As the author set up the mystery surrounding Jake's will -- basically why would he leave millions to his maid? -- I was definitely hooked. It took awhile for the truth to be revealed, and I can't say that I didn't sense that something major was coming down the road; however, the ending of this novel blew me away. It was extremely powerful and made listening to everything else worth it! In addition, I appreciated how this novel addressed race in the South in the late 1980s. This story took place about thirty years ago -- in my lifetime, and it's amazing how prejudice people still were. Even though this story was supposedly about a will, it really delved into small town life and the divide between blacks and whites. Furthermore, I enjoyed how this story addressed money, and by that I mean greed too. Hubbard's children, who wanted virtually nothing to do with him during his life, sure came out in droves to prove that they were worthy of his estate. They surrounded themselves with cut-throat lawyers to challenge their father's mental competency and prove that he was coerced to change his will. Hubbard's children were extremely unlikable to me and, at times, were so ridiculously self-centered that they almost seemed like one-dimensional characters. Finally, I appreciated the complexity of the story. This wasn't an edge-of-the-seat mystery. Rather it was a slow-moving story, with quite a few minor twists and turns, that really made me think. Many of the characters, were especially deep; and I liked that their actions weren't always predictable. Also, I liked how this book demonstrated how complex the legal system, and how it didn't shy away from the harsh realities of racial tensions in the South. 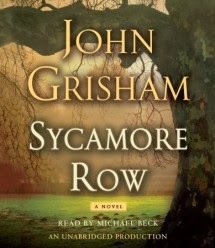 Overall, I appreciated SYCAMORE ROW, especially the audio version; and I highly recommend it to fans of Mr. Grisham. I was so excited to learn that this was a sequel to Time to Kill (I'm just going McConnanhey stars in the movie version. .. assuming there is a movie version). I will make time for this book in 2014! I read Sycamore Row when it first came out. 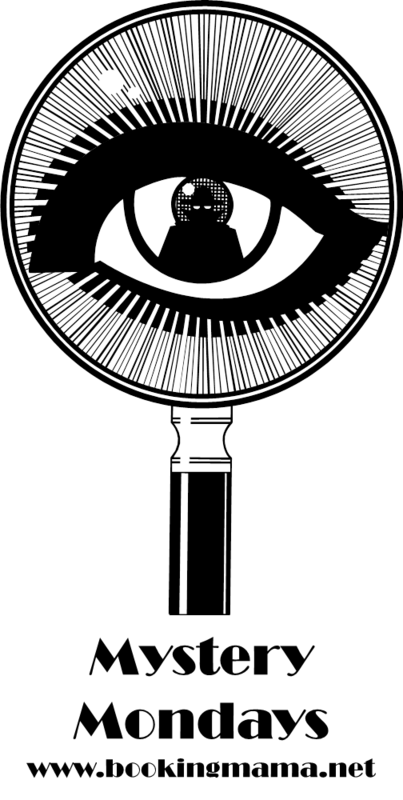 I liked it a great deal, but I agree with you regarding the legal jargon, at times I found it too much and had to skim a bit. Hm, I've got the audio version of this as well. I wonder if the legal stuff would be easier to take in print. I think A Time to Kill was the second novel I read by him and I did like it. He seemed to become a little rote after awhile though...same thing over and over. I actually more appreciated his true crime venture "An Innocent Man". I doubt I will read this one, unless maybe I need a good visual of a sweaty McConaughy. I absolutely LOVED this book, as I do ALL of John Grishham's novels. I'm one of those readers that love the feel of a real book in my hand... So this one did keep my attention very much! I really hope that there is a movie sequel, and none other than Matthew McConaughey could play Jake Brigance and Ashley Judd as his wife.. I loved the story of thus book. I caught myself trying to draw my own conclusions, but as always Mr Grisham does it again with a masterpiece!! This man CAN'T write a bad book! I loved how the book "came to life" as I read it. After reading "a time to kill" ( and seeing it) you picture everything in the book and hear the peoples voices.. It's like I was there as a spectator.. Loved it!!!! In my opinion, John Grisham doesn't write a bad book! They are ALL wonderful!! !